The institute offers intensive spanish courses from as little as a week or as long as a year. We start courses every Monday the entire year regardless of the course lenght. Intensive courses for students who have little or no knowledge of Spanish. Intermediate and advanced students may enroll in six or eigth-week Spanish classes. Courses feature grammar and conversation classes as well as guided tours to places of historic and cultural interest in the city. Students will be administered placement exams upon arrival to determine their appropriate level. The institute offers a number of Mexican history courses. From Prehispanic times to present day. 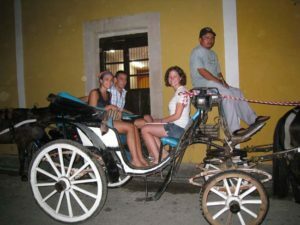 Students may also enroll in a Mexican culture class with an emphasis on the maya, Mexican literature classes, and a class on the socieconomic situation of México. The conversation classes offered are designed jointly by the teacher and students. In lieu of texbooks, students are giving hand outs on various topics and current issues they will receive a certificate of program completion. Academic credits can be arranged at student`s request. 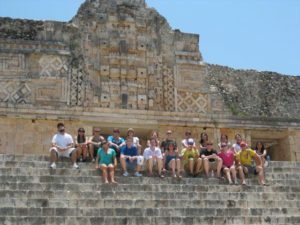 For groups interested in having a Spanish immersion visiting amazing mayan places and learning about this extraordinary culture.